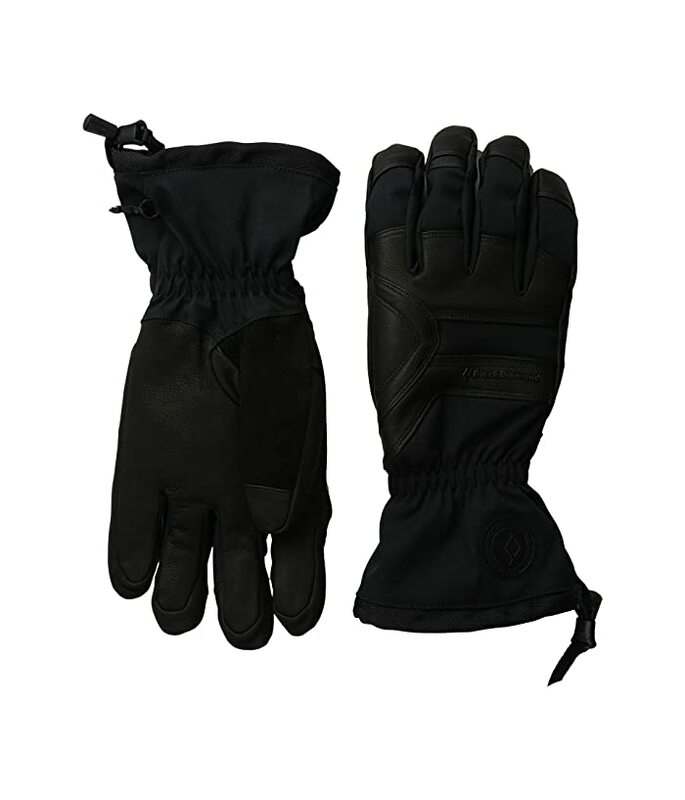 Ideal for skiing, winter touring and expeditions, and ski mountaineering. Abrasion-resistant nylon shell with four-way stretch. Goat leather at palm and knuckles. 100 g Thermolite insulation at back of hand. Polartec Thermal Pro high-loft fleece at palm. Fixed lining with waterproof Bdry technology. Extended gauntlet with elasticized wrist and cinch closure to help keep the chill out. Wrist clips keep gloves together when not in use.